Another slowish round to complete, so sorry about that. But we're all still here which is what really matters, and I'm sure most of us are ready and raring to get stuck into this new round! You know the drill by now... let's go! As you will have noticed, Round 3 was subject to some delays and while I don't want to hurry anyone I do ask that you look to play your games for this round at your earliest convenience so that we might be ready to move on to the next round by the end of next week (Sunday 17th March). Nobody's going to get left behind if we go over this date, but please try not to let this be you anyway! Please aim to play your match as soon as you're able to, but let's aim to have the round wrapped-up before the end of next week (Sunday 3rd March). If we finish earlier than this, we will of course move on to Round 4 as soon as we're able! News and Events / 2019 Basegame League? Ladies and gentlemen, this is your invitation to take part in a unique Carcassonne experience as a community, where we will share our thoughts/ experience on what best to do with each tile that we get to place in a 4-player game of Carcassonne with no expansions. All you need to do is follow this thread and contribute with your thoughts on what you'd do if you were in the position that we find ourselves in with each tile that we get to place. I'll track scores and will post what our opponents do with each update of the developing landscape, with the intention of collectively outwitting them all to win the game! My hope is that it will be something a bit fun that we can all contribute towards and potentially learn from by understanding the thought processes going on inside the heads of others when we're all faced with the same decisions to make. If we can't agree on what best to do with our turn then we'll settle it through a vote, but I'm looking forward to seeing how things turn out and considering different options to those that I'd normally consider when playing by myself. Please ask if you have any questions. Otherwise you can expect a screenshot of the starting position to be posted here very soon, so have your thinking caps at the ready! 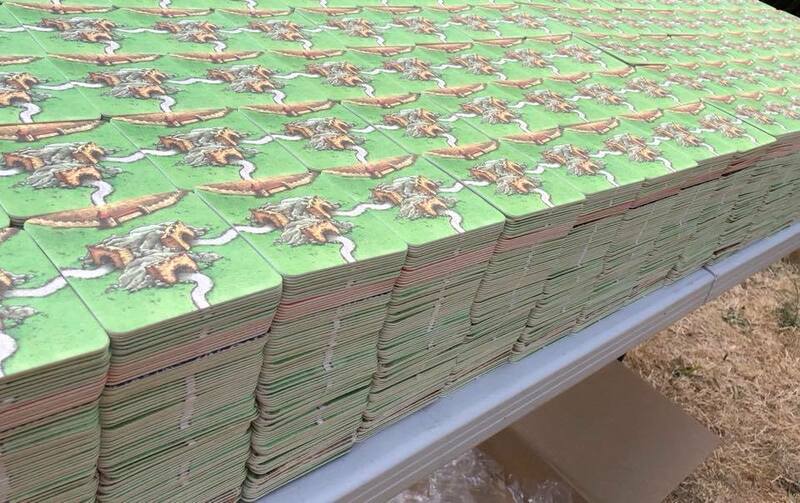 The Marketplace / Giant Carcassonne Tiles! We've all been getting the rules VERY wrong for the better part of two decades! It's been a while since I gave anything away, which is largely because my supply of "spare bits" has dwindled somewhat over recent years owning to previous giveaways and my total lack of any disposable income to replace anything. 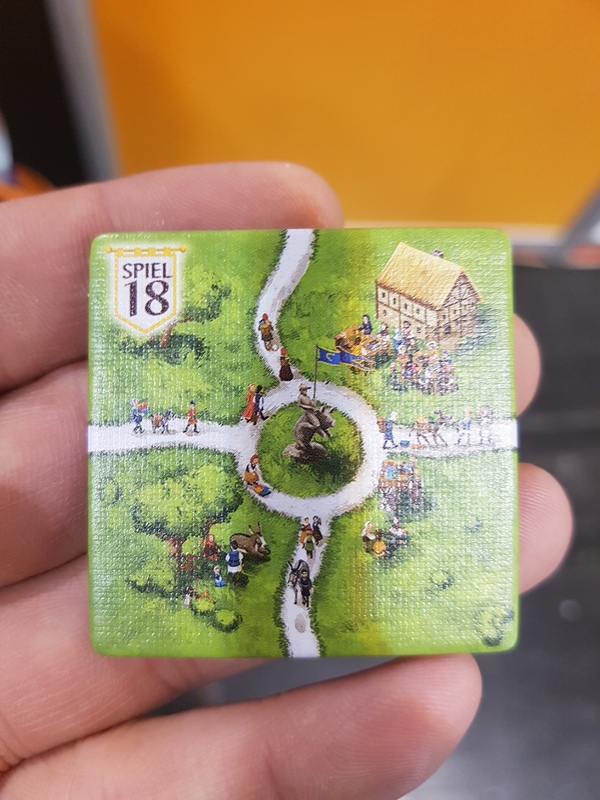 However, I am currently in possession of a number of tiles in both old and new artwork editions which have been signed by the main man himself - Klaus-Jürgen Wrede – that I'm looking to share with the community here. I will be making these tiles available to anyone who doesn't already have one (so please be honest!) and will allocate them on a first come first served basis once I've posted here with a photo of the tiles that are up for grabs. 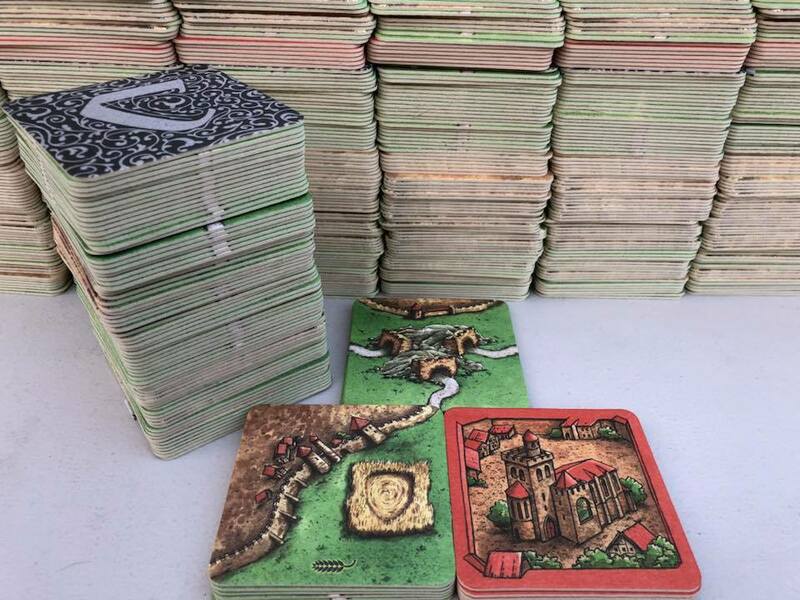 If you'd like to claim one, please post here on this thread about your last game of Carcassonne along with any relevant details such as what colour you played, which expansions you included (if any) and who you're no longer speaking to as a result of events that transpired in the game. 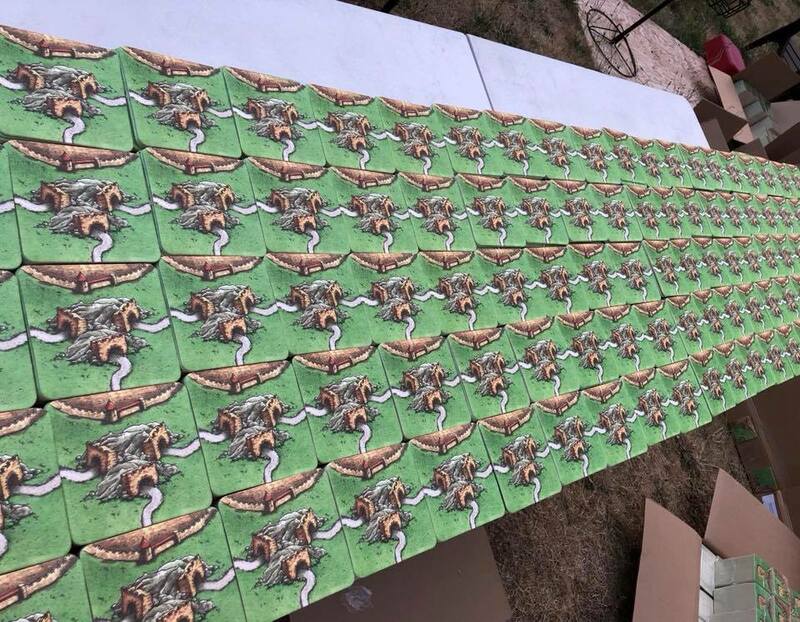 On a final note, all tiles will be free to a good home as long as this is what you intend to provide and aren't looking for something to put on eBay.